We mentioned the Lomography Gallery Store yesterday and this evening sees The Diana World Tour Exhibition roll into London. The Diana World Tour was kick started in Hong Kong, and has since traveled to Tokyo, Seoul, Porto, Lisbon, Madrid, Barcelona, Paris, Shanghai, Beijing, Guangzhou, New York City and is now in London! 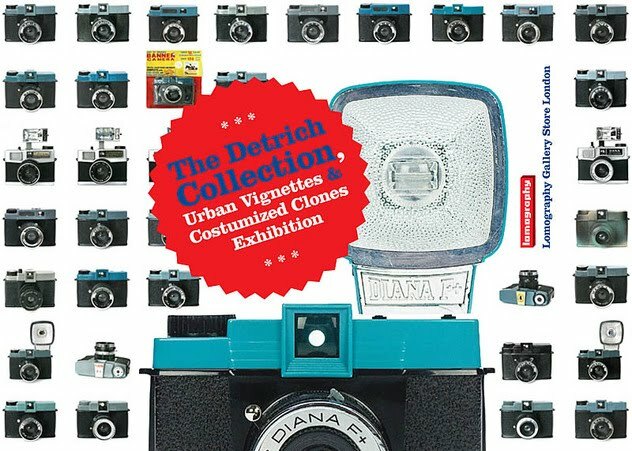 The Diana World Tour includes: The Detriech Collection – a collection of 100 original Diana Clone Cameras, The Diana Urban Vignettes Exhibition – the coolest collection of Diana images that you are ever likely to witness and The Customised Clones Exhibition a collection of around 25 Diana+ cameras; customised by some of the most interesting artists, illustrators, creative types and good-time Lomography friends that the UK has to offer. Each clone is a complete one-off and will be exhibited in store for the whole month of April.